Diane and Alex are one of the most laid back, fun couple I have ever worked with. 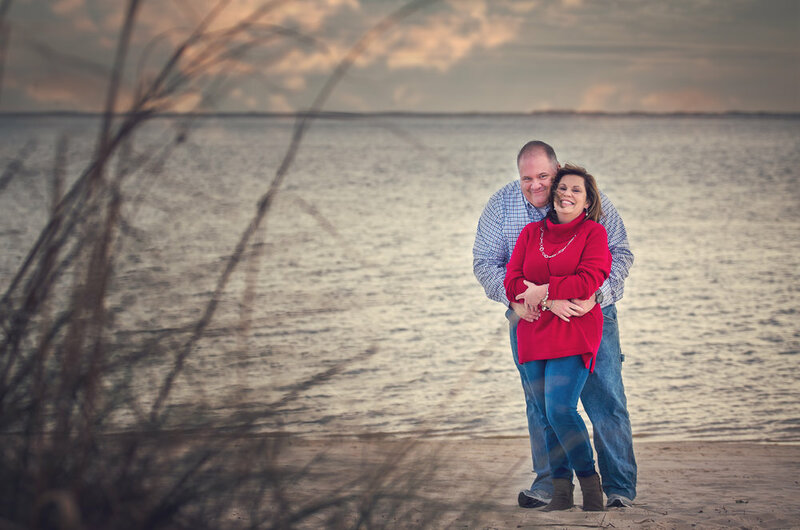 I took their engagement portraits on a cold January afternoon on the beach that will be the backdrop to their wedding. Dauphin Island is a gorgeous island at the southern tip of Mobile, AL. One of the best perks of being a photographer is getting to sometimes work on the beach! I love it when couples can make each other laugh and show their love and emotion for each other without much direction. Diane and Alex were one of those couples. His sense of humor even had me laughing with them. We even talked her into getting her feet wet in the freezing cold water!! I, like them, can not wait until their wedding day! I love being a part of a couple’s big day and providing them with images that will last a lifetime and beyond. I know it’s going to be a great day, with hopefully one of those gorgeous Alabama sunsets. I first met Sandy during Hunter’s senior portrait session. 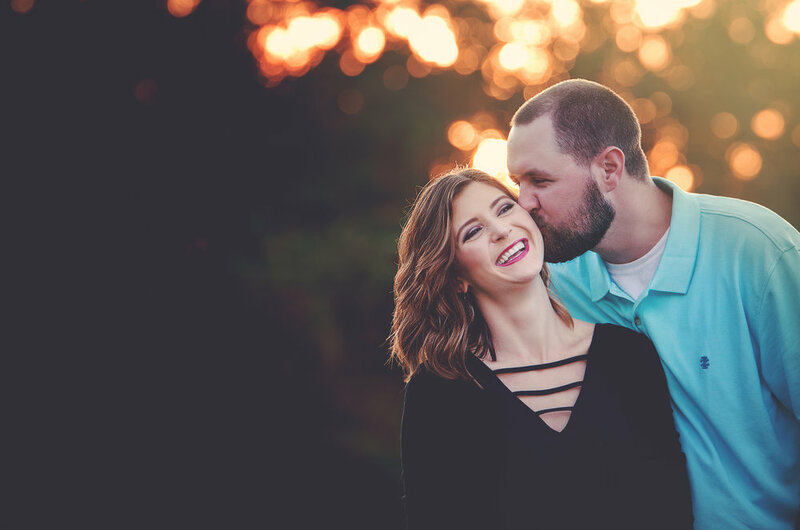 We had his session at her home and I instantly fell in love with their sunset view on Dog river. 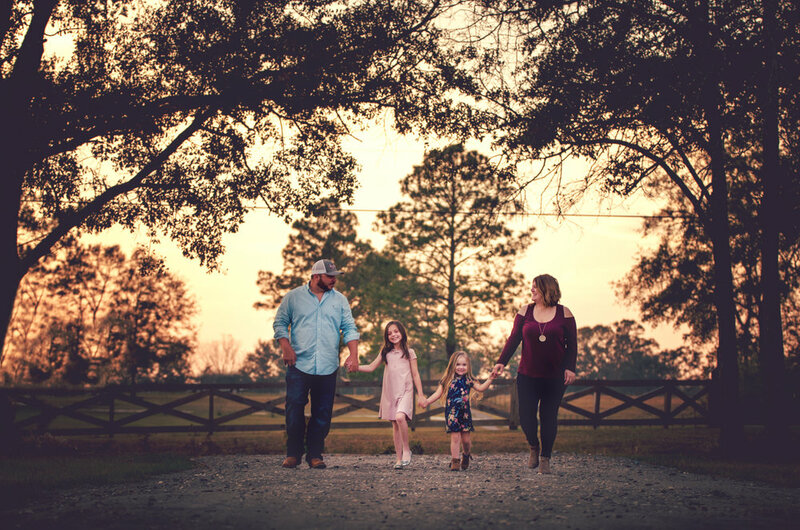 We had their family session right before Christmas at their home. 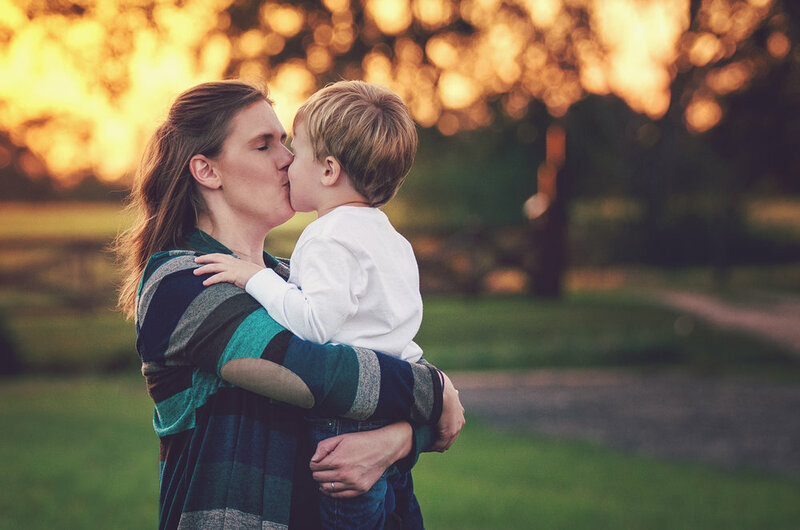 We first did a few shots outside at sunset of their family and then went inside for a pajama session. 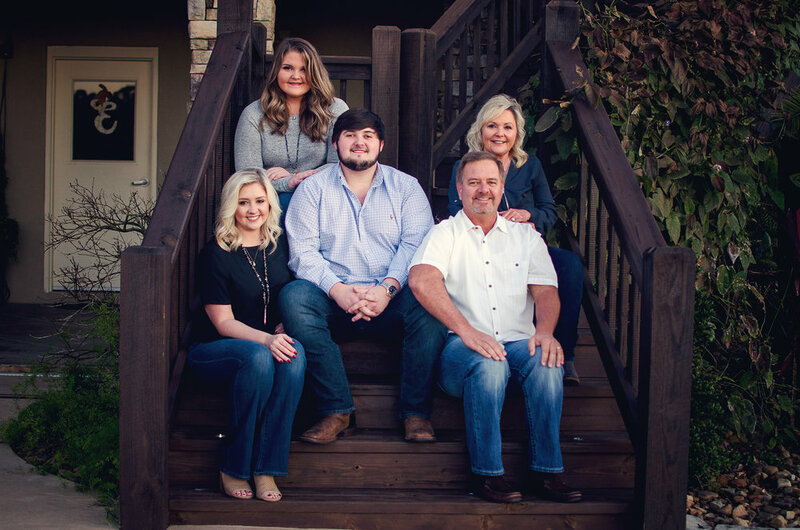 The Elliott family was so much fun to work with! I love it when a family is relaxed and entire sessions are filled with laughter. Ashlee knew exactly where she wanted to take family photos with Hunter. 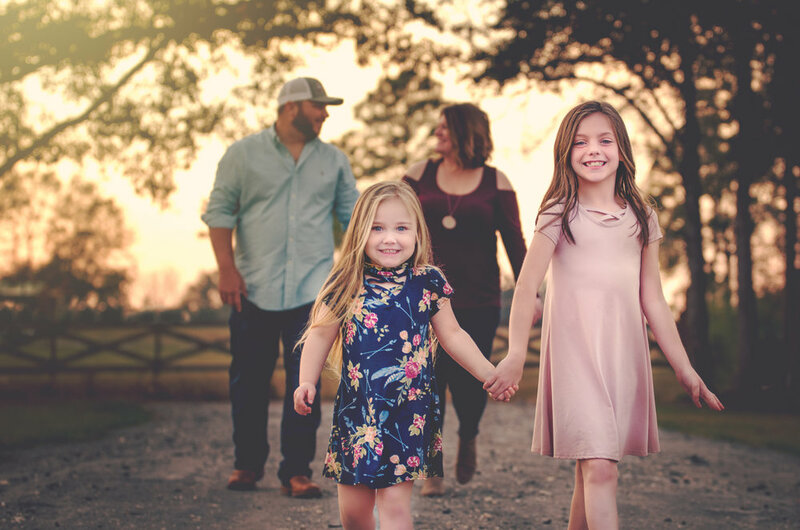 She had seen the Bell family sharing photos of this beautiful location with a field, gravel driveway and gorgeous golden hour sunsets. That location was perfect and is also the Bell family’s front yard! Ashlee and Hunter were so photogenic and easy to capture. The games I had for him to play with Ashlee made for great non posed shots and shows just how much they love each other! 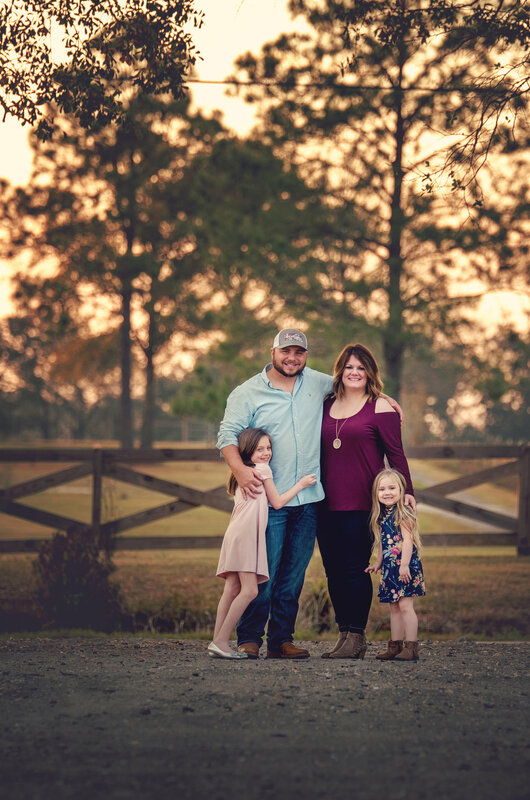 Thank you so much to Ashlee and Hunter for givin me the opportunity to capture your family photos and to the Bell family for letting me borrow your beautiful land once again. Bobbie Jo posted a message to the wall of my VIP Facebook group asking for availability and as we discussed details I was excited to shoot this session. 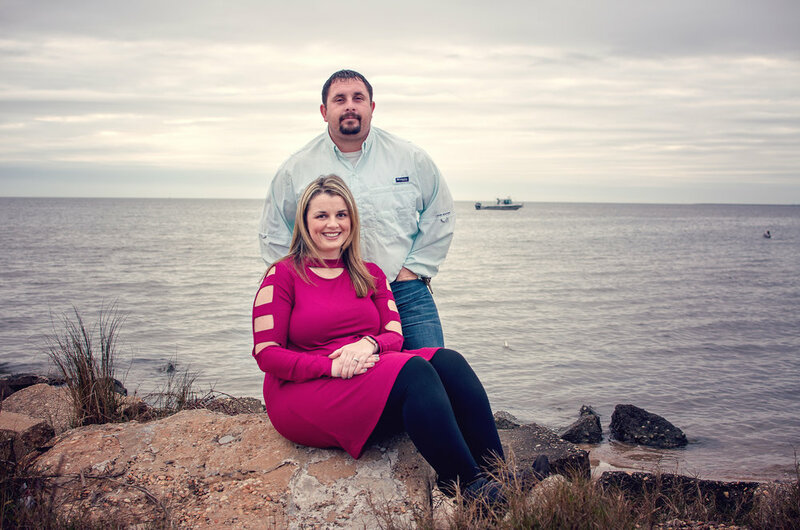 We decided to shoot their session at the boat launch in Bayou La Batre. With the weather we have been having lately I knew a beautiful sunset was likely not going to happen. 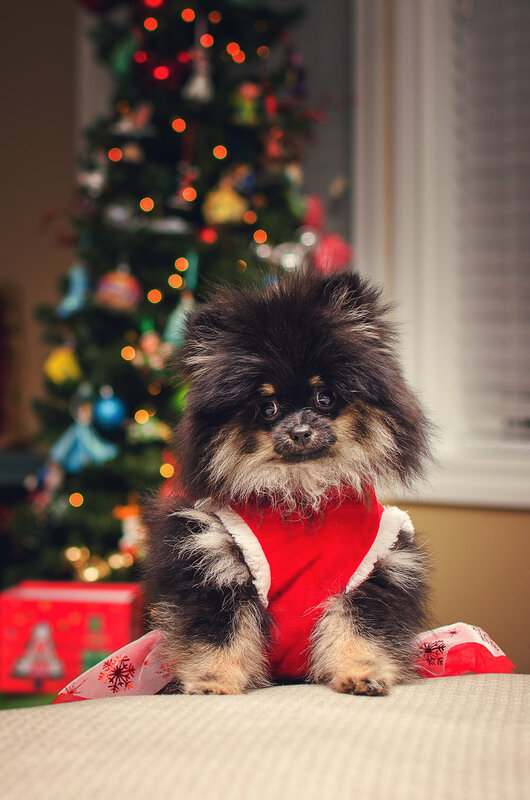 With Christmas photos fog, for me, is perfect for this time of year. That’s the whole reason Roudolf was able to get a job flying Santa’s sleight right? The Shrimp boats passed by before and after the session as they were coming in with shrimp for many Bayou La Batre residents Christmas feast. I love shooting sessions in my hometown and I take it all in every time I get a chance to. 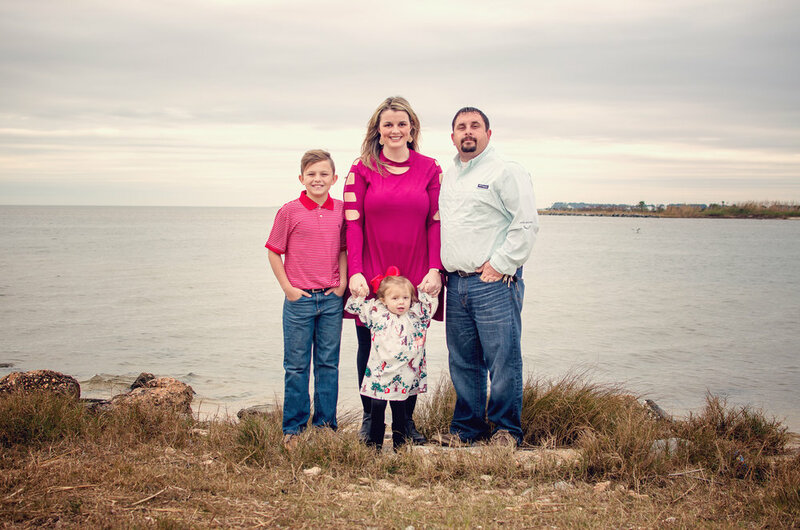 Thank you to Bobbie Jo, Michael, and their children for a great session and the opportunity to photograph your family. Janice had knew she wanted this session all year long and booked it when she had her Christmas session last year. 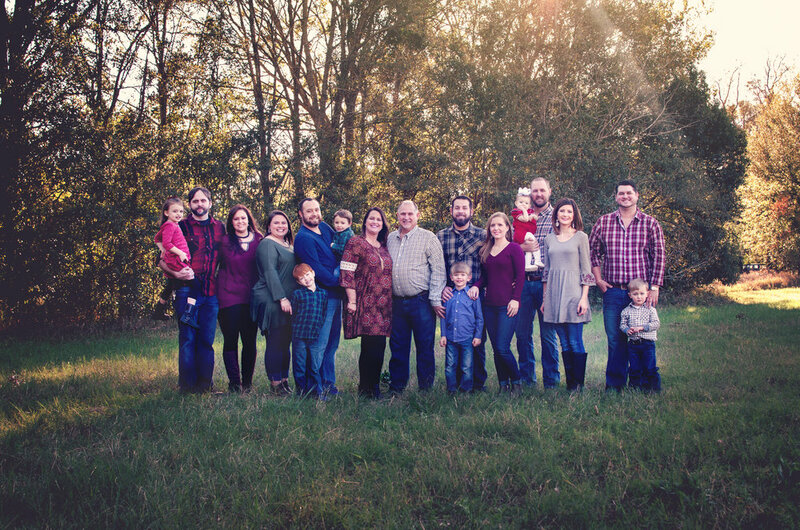 She wanted family portraits with all of her family and grand babies. We all met at Jonathan’s house and took their photos in the field in front of the house. I loved interacting and playing with the kids while we took their photos but mostly I loved watching David, Janice’s husband, running around and playing with his grand babies. I love my grandparents and have memories similar to this of my grandparents. I think the kids will remember this session for years to come and tell about how their grandfather was chasing them and trying to catch them. I always love meeting with Janice and David and look forward to the yearly photo sessions. Thank you so much for give me the opportunity to photograph you and your family! I love doing it and creating photos just for you. 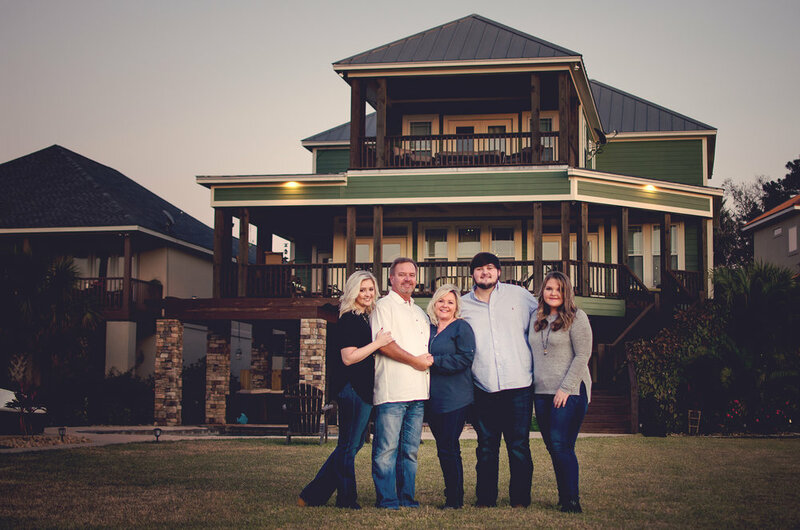 A family photo session in the a front yard of a house? It doesn’t sound very glamorous does it? Oh my gosh this land hasn’t let me down yet! My cousin has the most amazing land with the sun peeking through and the best angle for golden hour lighting. I haven’t had anlocation yet in the Mobile county area disappoint me. We live in such a beautiful location! April, Cody, and the girls were a delight to work with as always. I always know that natural smiles and fun will be had when April calls me for a session. The girls are the absolute sweetest! You can see in the photos just how much the girls care for each other and the love that April and Cody share. Thank you so much for giving me the opportunity to capture memories for your family year after year. It is definitely a joy to watch your family grow and see the personalities of the children grow as well from year to year. 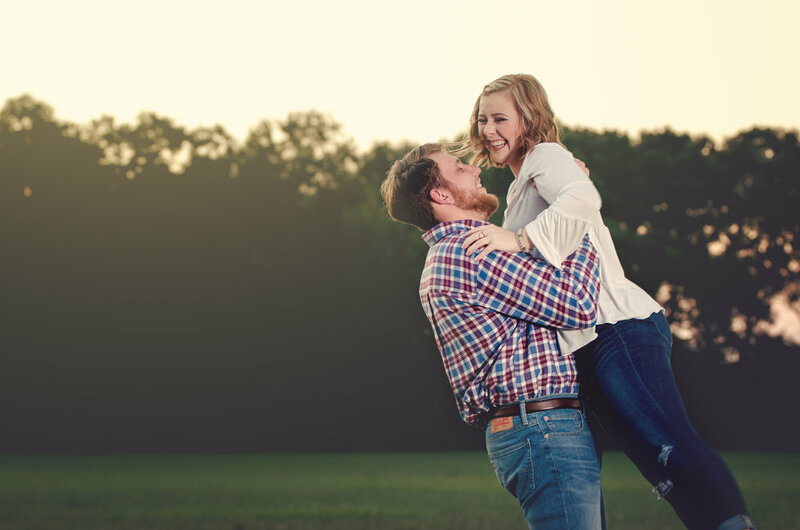 Brooke and Perry were one of the sweetest couples that I have photographed. 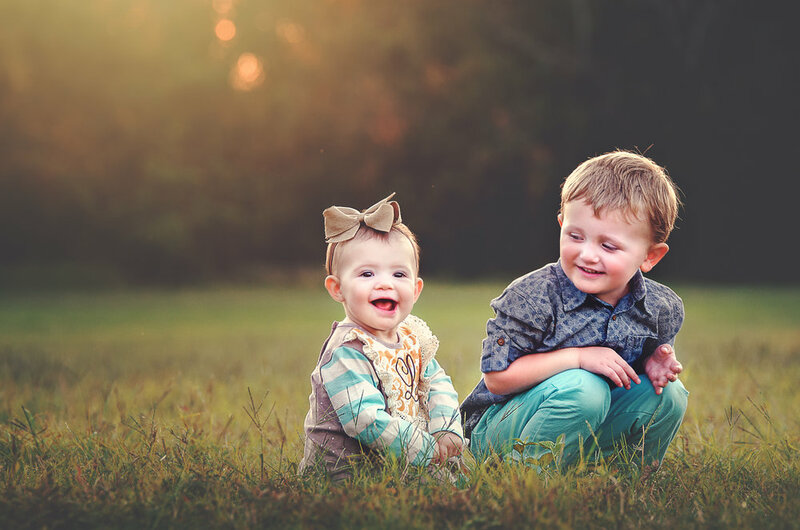 They were always smiling and natural laughter during a session is always the best kind. 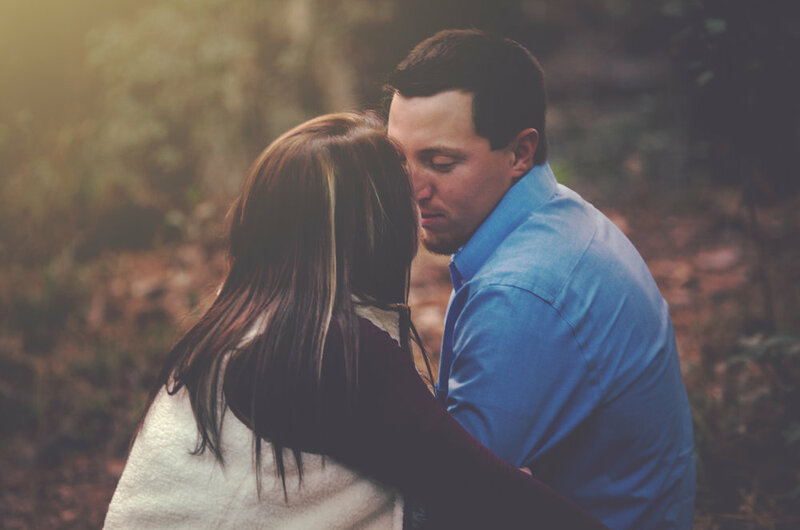 Brooke won a couples session last year during a Facebook contest and we decided to do their pictures the following year. 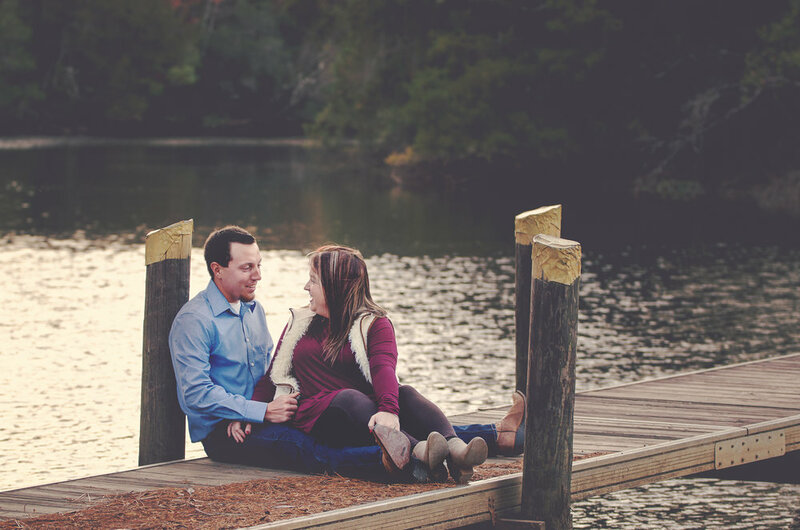 Their session took place at Chickasabouge Park in Mobile, Alabama. There are gorgeous bike paths through the woods, disc golf, playgrounds, basketball courts and soccer fields, a small beach and boat launch for Chickasaw Creek. It’s a beautiful place and I truly enjoy having it as a backdrop to my photos. Thank you to Brooke and Perry for an amazing session. 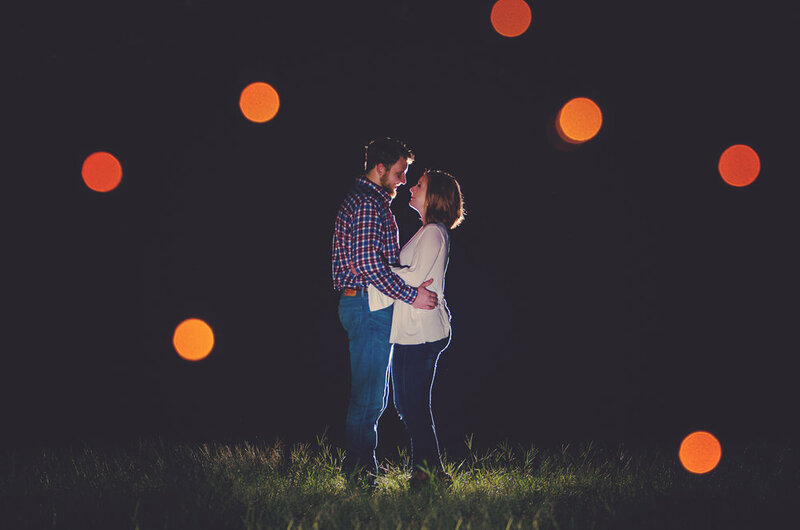 You are a beautiful couple and fun to work with! 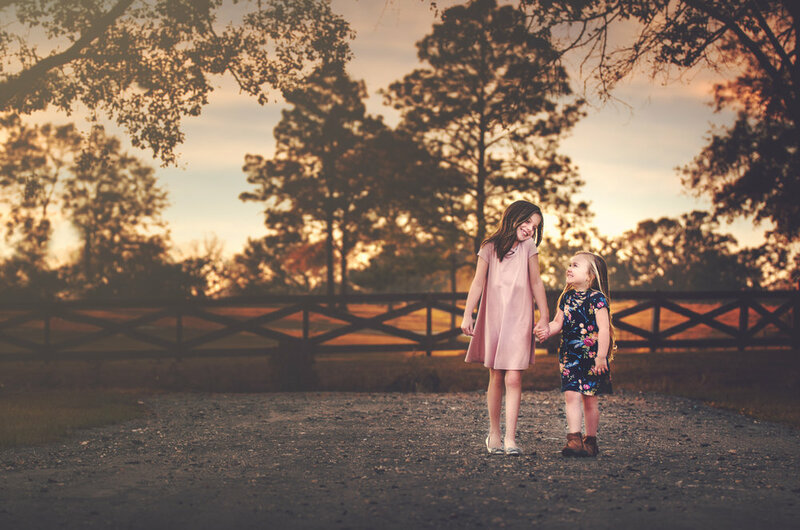 I recently had my fall sessions in what felt like a summer heat wave in Mobile, Alabama. We don’t get much of a fall here and our greens die off fairly quickly with the season changing. 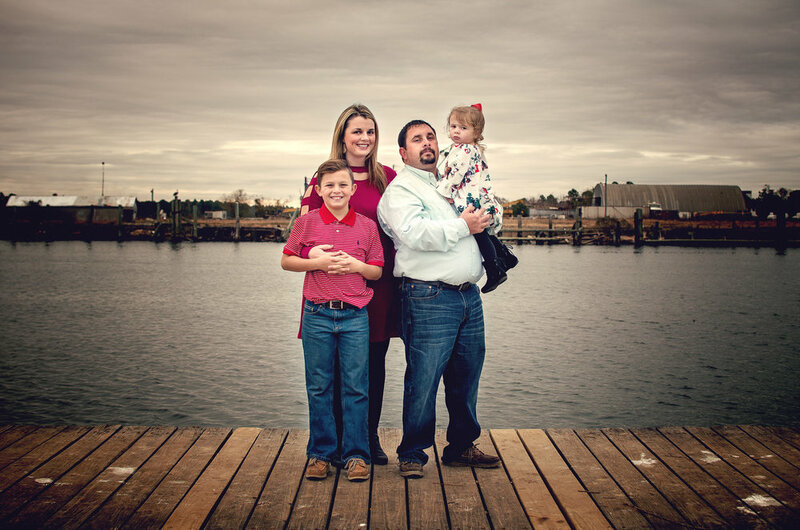 The Miniard Family had their session at the Japanese Gardens in Mobile, Alabama across from Langan Municipal Park. We couldn’t have asked for a more beautiful afternoon! I had recently shot Emmi’s fresh 48. She’s a beautiful baby girl and has an amazing set of parents. I loved working with this family! They look great together and baby girl is precious. 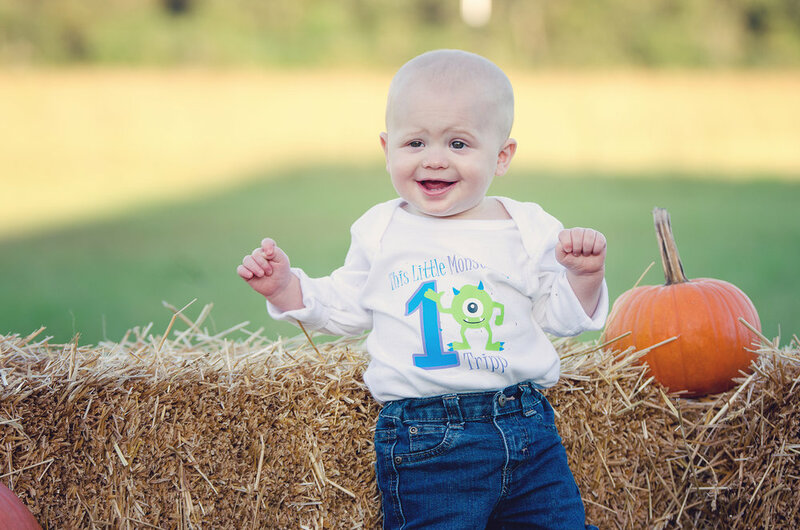 Thank you for giving me the opportunity to photograph your family and I look forward to watching Emmi grow! These two are the cutest together! I love taking couple’s photos and seeing their interactions with each other with the different prompts given. 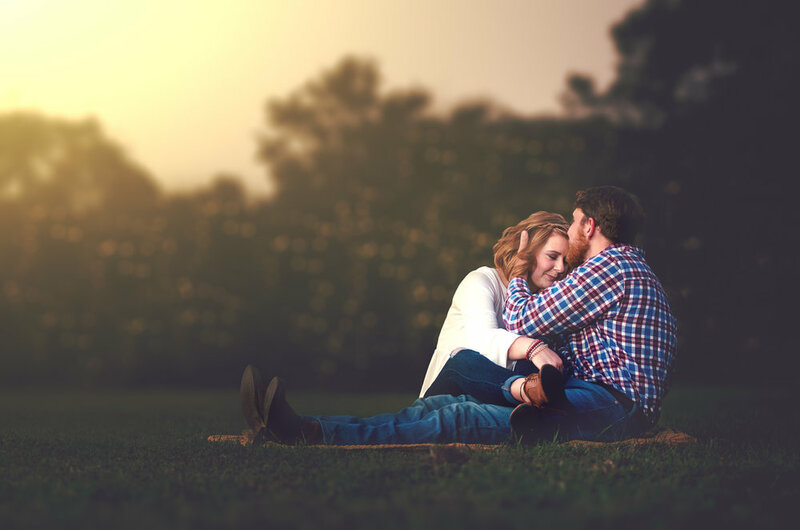 Being a photographer in Mobile, Alabama means there is a vast variety of amazing locations to shoot, but nothing beats an empty field where the focus is all on the couple and their love for each other. 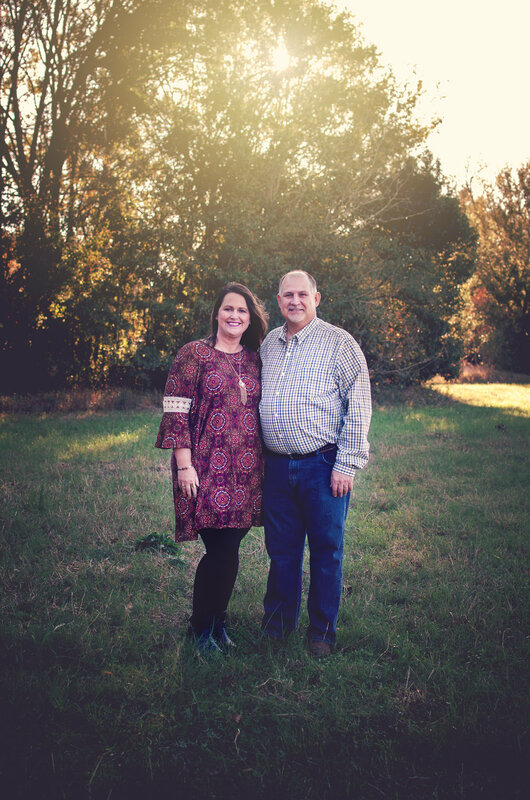 Thank you so much to Hope and Clay for allowing me to take your fall photos! It was great meeting you and your session was so much fun! The Graham family is the absolute sweetest! 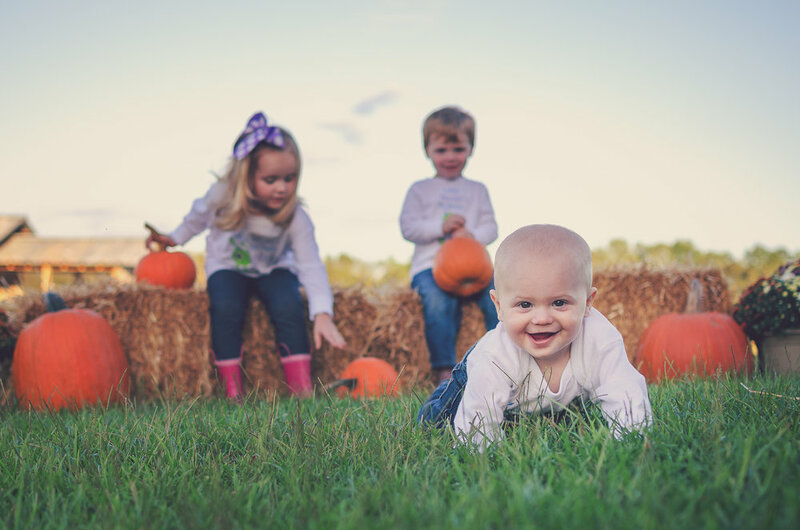 For the past few year they have chose me to be their Mobile, AL fall family portrait photographer. Thank you to Haley and Jonathan for choosing me to be your photographer for fall photos. You have the sweetest kids and it’s always a joy to spend time with you and your family! This is hands down one of the sweetest families! I have loved getting to watch their family grow over the years and watch the children grow as well. They each have their own sweet personalities and every time I see them they have changed and grown so much! Their session was held at their house. Their land is beautiful with cows, chickens and a front yard that is coated every evening by an amazing golden hour glow! Thank you so much for choosing me to be your photographer. 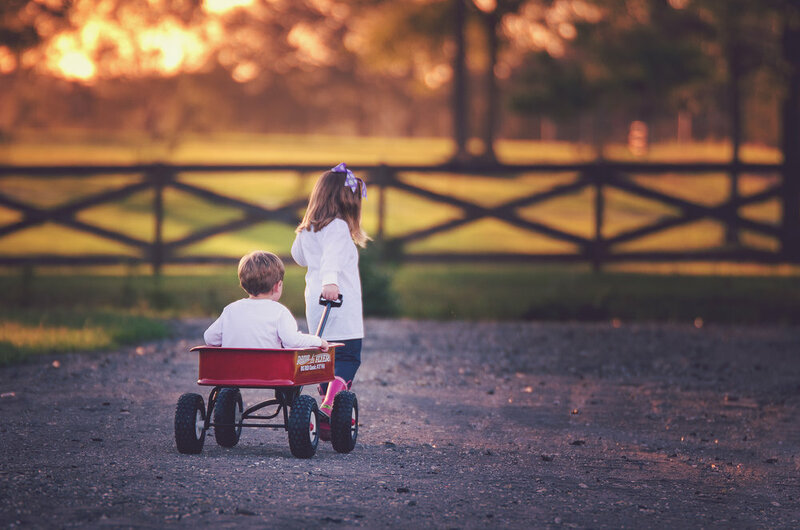 Your children always bring so much joy to me and I love getting to know them.